“You fathers will understand. You have a little girl. She looks up to you. You're her oracle. You're her hero. And then the day comes when she gets her first permanent wave and goes to her first real party, and from that day on, you're in a constant state of panic. While Steve Martin may have tickled your particular funny bone in 1991's Father of the Bride, Spencer Tracy walked Elizabeth Taylor down the aisle decades earlier, in the 1950 movie Father of the Bride based on the novel by Edward Streeter. 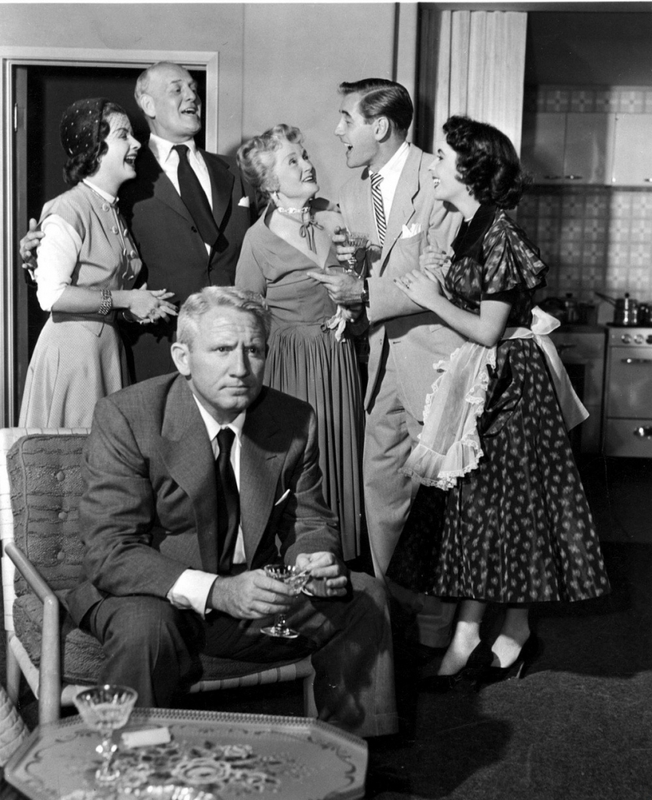 The picture, the screenplay and Spencer Tracy were all nominated for an Academy Award but All About Eve took home the honors for Best Picture and Screenplay with Jose Ferrer winning the golden boy for Cyrano de Bergerac. 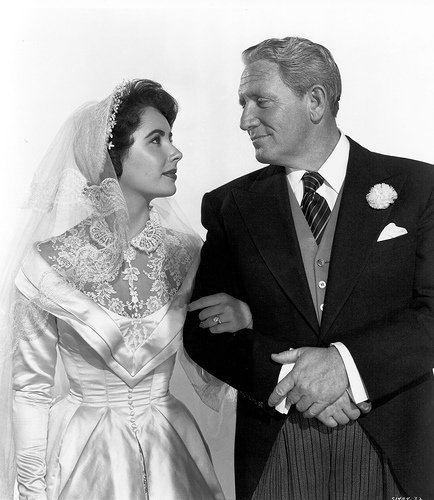 Still, Father of the Bride is pure Spencer Tracy at his curmudgeonly comic best. TCM is airing the original on Father's Day, June 21st (lest you forget) at 11:15am but you can stream it on Amazon, Google-Play, i-Tunes and VUDU anytime you like. It seems unseemly to talk about Tracy as a film father without mentioning the classic Guess Who's Coming to Dinner. It was Tracy's final film role, the last notch in his Best Actor nominee belt. The acclaimed actor died on June 10th, 1967 before the film was released the following December, but not before his character, Matt Drayton, made one of the greatest fatherly speeches in cinematic history. 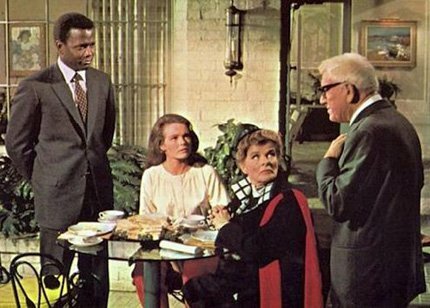 His daughter, Joey (Katharine Houghton, the real life niece of Tracy's costar and lifelong lady love, Katharine Hepburn) wants to marry John, played by Sidney Poitier but John won't do it unless her father approves. His own father doesn't. So the question is does he approve? Does Matt give the mixed-marriage his blessing? It's not an easy question for him to answer, it really takes some soul-searching on his part, but when he does, we're spellbound. He wasn't just talking to a young man and a young woman in love, he was talking to us all, about the power, 'the glory, the story of love' in a world sorely in need of it. Like Father of the Bride, Guess Who's Coming to Dinner is also available to stream on Google-play, VUDU, iTunes and Amazon.